Jack Townsend represents clients in the area of tax law commonly referred to as tax controversy. 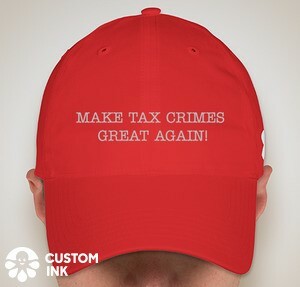 Tax controversies include audits, appeals, collections, criminal tax matters (including grand jury matters), and civil and criminal litigation. Jack's detailed resume is here. Jack practices in the Houston office of Townsend & Jones, L.L.P. He splits his time between Houston and Charlottesville, VA. He received his law degree from the University of Virginia in 1967 and his Master of Laws in Taxation from New York University in 1969. From 1969 through 1977, he was a Trial Attorney in the Tax Division of the United States Department of Justice, Washington, D.C. While with the Tax Division, he handled cases in the United States Courts of Appeals, with incidental work on briefs in opposition in the Supreme Court, from 1969 through 1974, and handled trials in the United States District Courts from 1974 through March 1977. He has been in the private practice of law in Houston, Texas since leaving the Tax Division and currently focuses his practice principally upon tax controversy and tax litigation matters. From about 1982 (exact year lost in the shroud of time) until December 2015 (with about 5 years off), Jack was an adjunct Professor of Law at the University of Houston Law Center where he originally taught Real Estate Taxation but then settled into teaching two tax controversy related courses for law students and graduate law students: (i) Tax Procedure and (i) Tax Fraud and Money Laundering (a Federal Tax Crimes course). Incident to this teaching, Jack prepared two texts — on Federal Tax Procedure and Federal Tax Crimes — for student use in his courses. The Federal Tax Procedure book continues to be self-published annually; the current editions (2017) are downloadable on SSRN; the 2017 student edition here and the 2017 practitioner edition here. In addition, Jack and colleagues have published a Tax Crimes book published by Carolina Academic Press here. Finally, Jack is the principal author for Chapter 12 on Tax Crimes in Michael Saltzman and Leslie Book, IRS Practice and Procedure (Thomsen Reuters 2015), here, which is the seminal treatise in tax procedure. Some of Jack's other publications are on his SSRN site here. Jack regularly participates in tax seminars and tax professional groups. He has also authored several tax articles in leading tax publications on tax litigation and other tax subjects. He has also been involved in several pro bono projects resulting in amendments to the Internal Revenue Code. The most rewarding of these projects was the amendment to Section 213 to permit deductions for travel and lodging while away from home for medical treatment, a project which arose from a presentation he made to the Ronald McDonald House in Houston. Jack is licensed to practice law in the State of Texas.